Scotland's greatest single malts- including the Macallan, Highland Park and the Glenrothes- are hand-picked and blended with excellent grain whisky. Unusually, we still use the disappearing tradition of marrying the whiskies together before bottling to maximise the texture and flavours we have created. The result is one of the world's favourite whiskies. Cutty Sark contains Scotland's greatest single malts- including the Macallan, Highland Park and the Glenrothes- are hand-picked and blended with excellent grain whisky. Unusually, we still use the disappearing tradition of marrying the whiskies together before bottling to maximise the texture and flavours we have created. The result is one of the world's favourite whiskies. It was an unforgettable night of revelry as the iconic Scottish whisky brand, Cutty Sark, made its highly anticipated India debut. 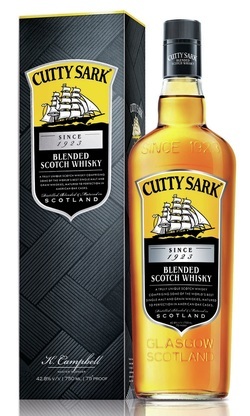 Launched her by actress Kalki Koechlin, This is the first time, since 1923, that Cutty Sark has been bottled in a country other than Scotland. And to mark the historic entry of a drink that’s hailed for its bold and distinct characteristics, Edrington Kyndal India Pvt Ltd (the JV Company between Edrington and Kyndal Group), pulled out all the stops to ensure the celebration was befitting of the occasion. The creative line-up for the evening reinforced the defining traits of Cutty Sark. Nitin Bal Chauhan, who is known to create quirky and edgy costume designs, showcased his interpretation of theCutty Sark philosophy and its theme of ‘Raise your bar’ through a limited-edition fashion collection. Critically acclaimed actress, known for her choice of unconventional roles and live wire personality,Kalki Koechlin, was the dazzling show-stopper of the evening. Kristeen Campbell one of the youngest and renowned master blender of Cutty Sark also marked her presence at the event.